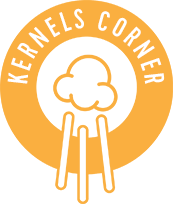 The Kernels Optimism Project is our new platform for giving back. It is an initiative that will support our brand’s desire to create meaningful change and lasting impact in the communities and programs that we support. Here at Kernels, we believe that every tree deserves to be dressed in popcorn. This holiday season, grab an extra bag of Kernels, and transform your popcorn into easy holiday decorations. Believe it or not, we’re just a few short weeks away from the holiday season. And if you’re one of those last-minute shoppers who always vows to start earlier the next year, let this be a reminder to get your gifting under wraps.